Other names: Amra, jangli aam. Ambwada is grows wild, mostly in forests, nearly all over India upto an elevation of 1500 metres above mean sea level. It is also planted in gardens at some places. A deciduous tree, 10-15 m tall, with yellowish brown, smooth branches. 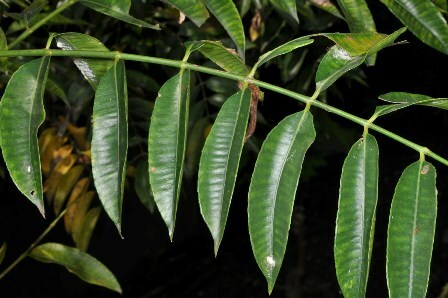 Leaves are 30-40 cm long, compound with 5-11 opposite leaflets. Leaflets are stalked, ovate-oblong to elliptic-oblong, 7-12 cm long, 4-5 cm wide, papery. Leaf base is wedge- shaped to rounded, often oblique, margin toothed or entire, with a tapering tip. Flowers tiny, borne in panicles at the end of branches, 25-35 cm long; flowers are stalkless, white; sepals triangular, about 0.5 mm; petals ovate-oblong, about 2.5 × 1.5 mm, pointed. 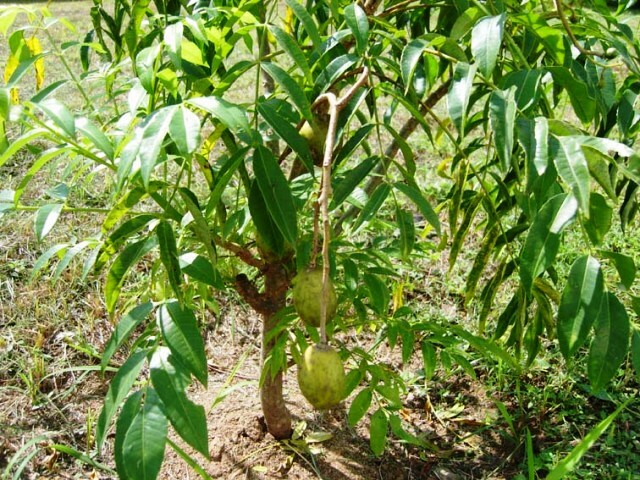 The fruits usually ripen in during October-November in North India. 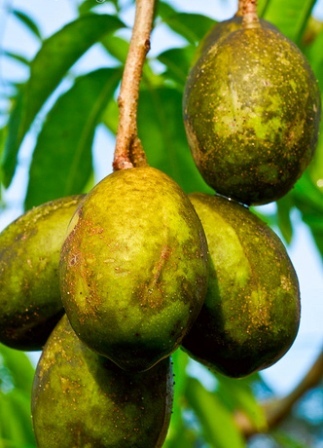 These are eaten as a vegetable when green and as a fruit when ripe. These are also used as a condiment and can be made into chutneys, stews, pickles and jams. The edible portion of the fruit gave on analysis the following values: moisture, 90.3; protein, 0.7;t, 3.0; fibre, 1.0; carbohydrates, 4.5 and mineral matter, 0.5%. The vitamin C content was 21 mg per 100 g.
Ambwada bark is astringent is reported to be astringent and refrigerant. 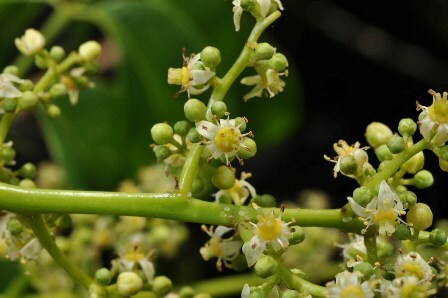 It is useful in dysentery and diarrhea and is also given to prevent vomiting. A paste of it is used as an embrocation for both articular and muscular rheumatism. A decoction of the bark is stated to be given in gonorrhea. The root is considered to be useful in regulating menstruation. The wood is employed in making tea cases, tea chests and for floats, canoes and or boats. The wood is fairly good for unbleached wood pulp.